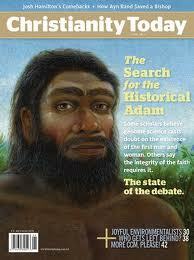 Christianity Today’s most recent cover article discusses new theories concerning the Historical Adam. It focuses on the group “Biologos” established by Francis Collins, whose goal is “to contribute to the public voice that represents the harmony of science and faith and address the escalating culture ware between science and faith in the United States” (wikipedia). 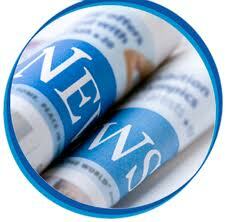 Francis Collins was nominated by Barack Obama to be the director of the National Institutes of Health in 2009. Collins considers himself to be an Evangelical Christian, and because of this, his confirmation was fraught with questions from secular lawmakers and leaders in the secular intellectual community of his “fitness” to hold the position due to his religious beliefs. Although his confirmation is a positive step in the sense that he considers himself an Evangelical Christian, the problem is that Dr. Collins and his group Biologos largely affirm what is called “theistic evolution,” and they are working to make this the key to harmonizing the supposed gulf between science and faith concerning human origins and the creation of the world. This blog entry is a review of Christianity Today’s handling of this hot debate and their approach to the Biologos position as well as a critique of the new “population genomics”. First, a word about Christianity Today’s treatment of the article in the most recent issue of their magazine. I commend Christianity Today in that they illustrate just what is at stake when you begin to toy with the age of the earth and assert theistic evolution. The Genesis account from chapters 1-11 is intricately tied to other teachings of the Bible, especially in the New Testament. If we mess with the Creation account and call it allegorical or literary only, then we endanger the doctrines of the Fall, the genealogy of Jesus Christ, the authority of Scripture, and the effect of Sin and Christ as the second Adam who annuls Adam’s curse and brings salvation to the world. You have to deal with the issue that Jesus and Paul assume the historicity of Adam and Eve. Was Paul mistaken? If so, how can you also assert the infallibility and authority of the Bible? Christianity Today allows Richard Ostling to write the main article on the Historical Adam debate. Ostling is a religion writer with Time Magazine, and therefore, comes at this from a perspective that would attempt to be objective, yet definitely not from the presuppositions of a conservative Evangelical. I will commend Ostling in understanding the implications of the theistic evolution argument. Christianity Today then has an article on page 61 that outlines their position on the historical Adam with the title, “No Adam, No Eve, No Gospel.” This statement is absolutely true, but the one page article’s main thesis is that the Historical Adam debate is not resolved and we need to be patient. Also, the editor’s page “Inside CT” by Ted Olson on page 9 indicates that this debate is a “family meeting” rather than a polemic of enemies. I take issue with this. For the Biologos Foundation (whom Christianity Today would consider “part of the family”) is seeking to consider itself an Evangelical Christian group while at the same time denouncing the idea that Adam and Eve ever existed. Christianity Today comes against this view by saying it is wrong, but I think the magazine is handling this with kid gloves because they don’t want to offend “old earth” proponents or intelligent design advocates who agree that the age of the earth is 4.6 billion years old. It seems that the magazine in a quiet fashion points to the popularity of Old Earth Creationism, as well as communicating that the Young Earth view is simply intellectually untenable. It also appears to me that the vast majority of Christians today assent to the belief in an Old Earth without understanding the implications of that view. These implications, although present in the articles and comments from the magazine, were not prominent enough in my opinion. The latest weapon that the Biologos Foundation is using against the view of creationism and historical Adam is the theory of “population genomics”. The main tenet of this argument is that when studying the genetic heritage of humanity, it seems almost certain that the complexity in our genetic makeup just could not come from one couple. According to Dennis R. Venema, a senior fellow at Biologos: “the history of human ancestry involved a population bottleneck around 150,000 years ago and from this tiny group of hominids came everyone living today. But the size of the group was far larger than a lonely couple: it consisted of several thousand individuals at minimum. Had humanity begun with only two individuals, without millions of years for development…it would have required God’s miraculous intervention to increase the genetic diversity to what is observable today (25)”. You think? Seems to me that this is exactly what the Bible proposes – God’s miraculous intervention in creating the universe and mankind and dealing redemptively with humanity from Genesis to Revelation. The problem with this argument is that it does not necessarily follow that genetic studies should dictate our conclusions concerning human origins. C. John Collins and Fazale Rana are brought to the table as opposing voices to the “population genomics” argument. Their counterpoints are quite convincing. The bottom line appears to be that the science of genetic research is just not universally conclusive, and there are differing opinions on this issue from the scientific community. Also, IF you take the theistic evolution line, it seems to follow that at some point down the line of evolution you come to a mutation in one anomaly within a species that turns the trajectory of that species down another branch in the process that eventually leads to humanity. This “missing link” has been the obsession of evolutionary biologists for decades. The search for “mitochondrial Eve” continues. This search assumes the belief in an “Adam and Eve” even within evolutionary circles. For there had to be a starting point of a single mutation to set the chain of natural selection in motion in a particular direction. The problem is, this single person that sets the chain of mutation will never be unearthed. The best that paleo-anthropology can do is to find “populations” with similar genetics and consider them to be the precursors of humanity. This population is not the starting point, but the pool that inherits the traits of the original mutation. Of course, I don’t buy this line of argument either, but I am just showing how one can interpret this issue without jumping to the conclusion of population genomics. The main problem concerning the issue of the origin of the universe and humanity is that so many Evangelical Christians are buying into the notion that the earth is 4.6 Billion years old without considering the theological implications. If the earth is that old and humanity came into existence on account of a billion year process of creation, extinction, creation, extinction, and evolution (even if God is the cause and determiner of it), how do we deal with the consequences of the Fall? Genesis, Romans, Revelation, the Gospels, etc. all point to cosmic consequences of the Fall of Adam and Eve. Because of their sin, the earth is changed. Because of their sin, death comes to the world. Because of their sin, the entire creation groans for redemption in the consummation of Christ’s return and the new heavens and new earth (Romans 8; Revelation). There is a yearning of creation to be redeemed because of what happened when Adam fell in the garden. Theistic evolution and the Old Earth view of creation obliterate this main narrative from the Bible. This is DANGEROUS ground. Because of this, the argument and debate over Historical Adam is not just a “family meeting.” It is a theological battle that must be won by those who believe that Adam and Eve DID exist, were created by God historically, and actually did historically Fall in the Garden of Eden. The fact remains that both Theistic Evolution and Old Earth views of creation have yet to adequately answer the theological problem of the cosmic consequences of sin and death. When I was growing up, I loved learning about dinosaurs and T-Rex, Velociraptor, Triceratops, Brontosaurus and the like. As a kid, I loved the movie, Land Before Time. As a teenager, I was fascinated by Discovery Channel and PBS documentaries about the origins of life and creation. It made common sense to me that the earth was billions of years old and that species change over time. I bought hook-line-and-sinker the argument that evolution is a scientific fact. I therefore attempted to reinterpret the Genesis account to jive with modern scientific theory. I prided myself thinking that I had a handle on how it all went down. While in college and seminary, however, I began to realize the implications of Biblical Interpretation. If we say that Adam and Eve really did not exist as the Bible says they did, or if we say that the story of Noah really is just a good story but really did not occur as the Bible states, then we have to say that the Bible is not accurate on some points. Then, we cannot say that the Bible is totally true, since it says something happened when it really did not. This obliterates the authority and trustworthiness of Scripture. And this is why we have millions of people walking around us today that see the Bible as a nice book of ancient fairy tales that really does not have a say on their life today. Until the Old Earth view can legitimately and theologically argue how the earth can be both 4.6 billion years old with evolution, extinction, death, and carnivorism and yet also have a historical Adam and Eve, whose fall has cosmic consequences on the entire created order, I cannot accept their position. I maintain my faith that the Bible is the Word of God and is inerrant and totally trustworthy and authoritative. I must trust in the full historicity of Genesis 1-11. The Historical Adam debate with the likes of BioLogos is not a family meeting; it is a struggle of the truth of the Gospel. The views of BioLogos must be seen as heretical in the sense that their views (even though possibly unintentional) do indeed undermine the Gospel of the Bible. We need to quit tiptoeing around the issue and begin to communicate the true implications of the beliefs concerning the age of the earth. Well, I have made the change to a new website: joshuatmoore.com. This website is powered by WordPress and will serve as my personal website, blog, and communication tool and repository of all the stuff that I do. I pray that this will be used to give glory and honor to God in Christ Jesus and that people may be edified by it. My goal is to write two to three entries per week. I have a pondering that I will continue to ruminate for weeks to come. One of the dangers that Christians always face in our lives is the temptation of legalism. One of the lasting statements that impacted me in my seminary courses was this: “there are two manifestations of the flesh. First, and more obvious, is the natural inclination to sin and follow after worldly desires and impulses. The second one, however, is less obvious, yet all the more prevalent. The second manifestation of the flesh is the natural tendency towards self-righteousness and the belief that we can gain righteousness and God’s blessing on our own merits.” This, of course, is legalism, pure and simple. One of the aspects of the Christian life that has been bugging me lately is the question concerning how our works and personal righteousness will be rewarded in heaven. How are we rewarded in heaven? Is there a correlation between binding and loosing in heaven? In other words, is there an eternal significance tied to our works on earth? Will our eternal authority, pleasures, privileges, and STAKE (so to speak) be contingent upon our holiness in this life? If this is the case, does this jive with the gospel? 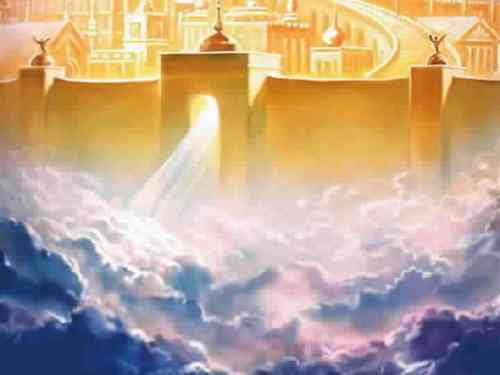 What is the Scriptures teaching concerning our reward in heaven? One of the old-time Southern Gospel hymns that I sang growing up was entitled, “Mansions Over the Hilltop”. Here is an example of the power of translation. For, the King James Version states in John 14:2 that Jesus says, “In my father’s house, there are many mansions.” Hence this consideration, “How big is my mansion going to be?” Is that contingent upon my walk with Christ? Is that contingent upon my personal holiness and devotion? The HCSB translates the verse this way, “In my father’s house, there are many dwelling places.” The NIV translates it, “In my father’s house, there are many rooms”. It seems in the context of this passage, that Jesus is referring to the house of God. 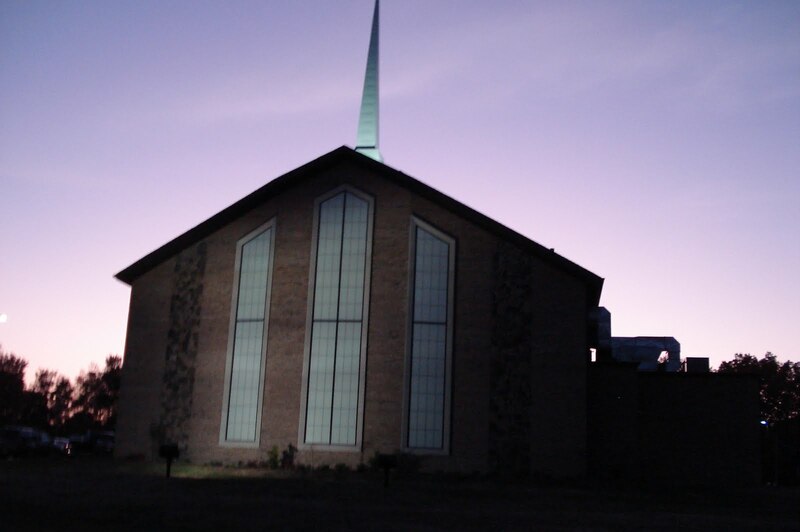 Using this imagery, we can see that God’s house is BIG. It does not follow then, that Jesus would be saying that there are mansions within a house, for usually a mansion is not a part of the house, it is the house. In our sense of the term, the mansion would be the whole (whereas a room would be the part), just as a house would be considered the whole. Therefore, it makes sense to see that the mansion in view here is the MANSION of God; and it has a BUNCH of rooms! This passage indicates that Jesus is going to prepare a place for YOU, believer, in the house of God. It seems in evangelical Christianity, there is a lot of emphasis on Christian reward – streets of gold, mansions in glory, jewels in the crown, bliss, and happiness. However, I would contend that this fascination on PERSONAL reward and glory in heaven misses the point of the gospel. For, what is the true reward of the Christian? Should it not be considered that the GREATEST reward that can be given to us by God is ETERNAL LIFE? The gospel of Jesus Christ is this: we were created to have a relationship with God that was pure and holy, where we completely do his will for his glory in perfect harmony and relationship and live forever. However, we rebelled against God and suffered the consequences of sin and death. Christ Jesus, the God man, came to this earth to be our substitutionary death and punishment for sin so that we can have a restored relationship with God and to have eternal life. We have received our adoption as sons of God through our faith in Christ Jesus in the power of the Holy Spirit. Yet, we await the consummation of Christ’s return to be fully glorified in our relationship with God and in our inheritance of eternal life. The gospel points to us that the KEY reward that we have in heaven is perfect relationship with our Creator and ETERNAL LIFE! Think about this: does it not make sense that the GREATEST fulfillment in life is to have life eternal and a relationship that fully and perfectly glorifies and honors God in all that we do, in which we are fully and perfectly satisfied in our selves, our work, and our relationships? The Christian’s reward of Eternal Life and Perfect Relationship with Yahweh God is what will make heaven, heaven. Everything else will pale in comparison. Jesus was telling his disciples that he was about to leave, and Thomas wanted to know where he was going. Jesus responded that he was going to prepare a place for us. This place is a place where we will never see death again and we will live forever in perfect peace and harmony with the God who created us and loves us. >I have taken a long hiatus from writing blog posts due to the need to finish up my Masters of Divinity degree from Southern Seminary. Now that this degree has been completed, I can resume writing in this blog and will be more active in the social networking scene. It is amazing how long it has been since I have posted anything on Twitter or Facebook before finishing up at Southern. I am looking forward to this new chapter in my life. I want to give a HUGE thank you to the children’s committee at Dresden First Baptist Church. They put on what I think is the best Fall Festival yet at Dresden First. It was highly attended and everyone seemed to have a blast. I know how much effort and planning and logistics goes into making this event happen every year and I simply want to say THANK YOU! >You may already know this but were you aware that the most popular baby boy’s name in England is now Mohammed. This is very interesting and shows the state of Christianity in England. We need to pray for a revival of Evangelical Christianity in England, the country that gave us Baxter, Wesley, Newton, Wilberforce, Whitfield, and so many others.